Card Text: When Eternal Witness enters the battlefield, you may return target card from your graveyard to your hand. 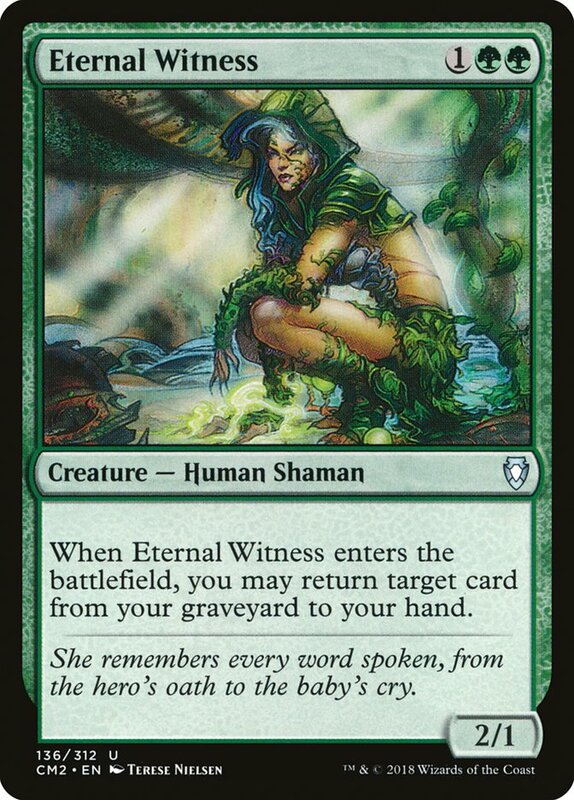 Oracle Text: When Eternal Witness enters the battlefield, you may return target card from your graveyard to your hand. Flavor Text: She remembers every word spoken, from the hero's oath to the baby's cry.